References on job candidates are a very valuable source of information, and yet they are being requested less and less by private sector employers. The main reasons are a fear on the part of the referee (or the referee’s employer) that if they give a candid reference, they might be sued; and skepticism on the part of the new employer about the value of any references they might obtain. From this list, select the six that are most important to the role, and don’t be tempted to include more. 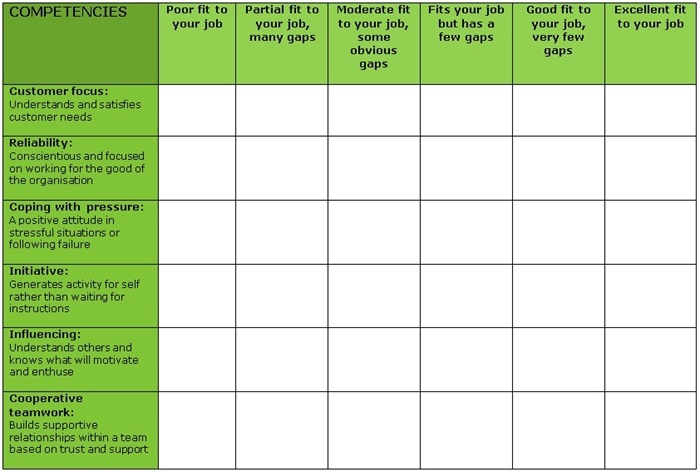 (You will find PAN’s 16pf Job Profiling Kit helpful here – it provides a structured exercise to focus on the most important competencies for a particular job role). Next, create a form by listing your chosen six along with a short definition of each one in a column down the left side of a page, with a scale of “fit” to each competence along the top. The following table gives an example of this. 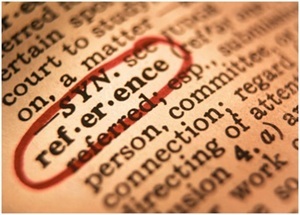 Academic research suggests that conventional written references have poor predictive validity (this may be one source of an employer’s skepticism about references); but when references are structured in the manner set out here, their validity improves significantly and close to the level of the structured interview. ← Siblings: a tale of Tension and Apprehension?